Zerona®, the first non-invasive body contouring procedure to effectively remove excess fat, was recently featured on The Doctors Show! The Zerona ® treatment provides results without the dangers associated with surgery, while at the same time allowing patients to remain active during treatment. Zerona™ - "Non-Invasive Body Slimming"
A new non-invasive body sculpting procedure designed to remove fat and contour the body without invasive surgery. This revolutionary method provides results without the dangers associated with surgery, while at the same time allowing patients to remain active during treatment. How does it work? 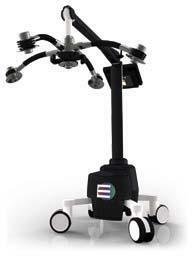 It works by utilizing the Erchonia® Laser Scanner, which is also FDA market cleared for laser assisted liposuction. 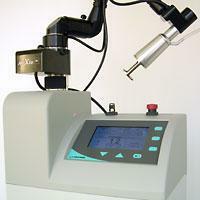 The Laser Scanner allows for the emulsification of adipose tissue, which releases into the interstitial space. The excess fat is then passed through the body during its normal course of detoxification. The Zerona™ procedure was proven through a double-blind, randomized, multi-site, and placebo-controlled study in which patients, on average, lost 3.64 inches from their waist, hips and thighs. This result is dramatic compared to the placebo group, which only lost an average of half an inch. What can it do for you? Reduce inches from target areas. Contour and reshape your body. Tighten and tone loose skin. By following the Zerona™ treatment plan you can: see dramatic reduction in cellulite, drop 2 to 7 pant/dress sizes, lose 3 to 9 inches and reduce stubborn fat from the tummy, back, hips, thighs, buttocks, love handles, arms, chin and neck. Using a complex algorithm, Mixto delivers a precise matrix of Microspots that penetrate to the dermis and stimulate the formation of new collagen. At the same time, immediate shrinkage of damaged tissue is achieved. What can it do for you? Immediate contraction of collagen fibers reduces wrinkles and loose skin. Removes pigmentation problems, reduces pore size, wrinkles, acne scars, and other textural irregularities. The Mixto technique also makes the healing process much quicker and enables patients to get back to their normal lifestyle sooner. Our facial treatments are a great way to revitalize your skin and look your best. Click here for more on our Medi-Spa Facial, Enzyme Renewal Facial, Customized Facial for Men, Corrective Facial, and Oxygen Facial. The newest advance in non-laser skin resurfacing. HydraFacial™ is the only hydradermabrasion procedure that combines cleansing, exfoliation, extraction, hydration and antioxidant protection simultaneously, resulting in clearer, more beautiful skin with no discomfort or downtime. The treatment is soothing, moisturizing, non-invasive and non-irritating. The HydraFacial™ treatment improves the appearance of fine lines, wrinkles, congested and enlarged pores, oily or acne-prone skin, hyperpigmentation and brown spots. See the HydraFacial™ on The Doctors Show! Great for any skin type including sensitive skin. Masks, serums, and products are selected for your skin needs. Also, may include high frequency, galvanic and iontophoresis, used to penetrate products, help with blood circulation, and having antiseptic qualities. Naturally derived enzymes work to exfoliate and improve the texture of your skin. Safe for even sensitive skin types. This facial can be customized to decongest or provide deep hydration, depending on your needs. Includes thorough cleansing, exfoliation, and a destressing massage of the face, neck and shoulders. A mask selected specifically for your skin type is applied, giving you fresh, clean skin. Designed for problem adult and teen acne skin, which improves texture and clarity with steam and extractions. Perfect for those eager to have the smooth healthy, clearer skin they always wanted! This all-natural facial uses oxygen combined with vitamins A, B, C, & E to effectively rejuvenate, regenerate, and revitalize the skin. Extremely beneficial for acne, congested or sluggish skin. Combine this treatment with another facial for the ultimate in skin therapy. A computerized device that uses nanotechnology to restore youthful freshness. A relaxing Perfector procedure lifts facial muscles, builds skin and muscle tissue, oxygenates, and detoxifies. It rejuvenates, reduces pigmentations, rosacea and acne. It is the secret behind some movie star' lifted, naturally glowing skin in spite of their age. This versatile powerful system sculpts your features to perfection giving you confidence at any age. Softens wrinkles, firms and lifts eye area. Removes the outermost layers of dead skin cells, leaving the skin smooth, supple and vibrant. Includes light chemical peel. This practically painless system can help turn back the sands of time. Tiny microcrystals are traced over your skin, gently exfoliating and improving the appearance of fine lines, sun damage, age spots, superficial blemishes, and acne scars. Go beyond microdermabrasion! Operating on a closed-loop vacuum system, the medical grade diamond head exfoliates the outer layer of skin while delivering a topical demaceutical to the skin at a controlled intensity, stimulating new cell growth. Brings the benefits of alpha-hydroxy and other agents to provide treatment for all skin types. Helps reduce sun damage, aging, blemishes, acne scarring, hyperpigmentation, melasma, and poor quality skin. This peel can dramatically improve the appearance and texture of your skin. Using beta hydroxy acid to rid the skin of dead cells allowing young, healthy cells to surface. Perfect for oily or acne prone skin. The newest and most revolutionary treatment in skin care. Non-surgical, in-office peel for the face that promotes cell turnover by exfoliating the skin and removing dead or damaged skin cells. This one requires no recovery time and little or no irritation. Helps to exfoliate and retexturize your skin. Glycolic acids soften the appearance of fine lines, wrinkles, hyperpigmentation, and enhances the skin's overall texture. Experience accelerate fitness with Arasys, the ultimate body workout, and electronic device for fast effortless muscle building, inch loss, body shaping, and cellulite reduction. Designed for the career woman and man in the age of speed. It enhances your gym regimen and increases your stamina. It naturally increases metabolic rate, therefore jump starting those who have not kept up with regular exercise. At last painless beauty combined with an enhanced sense of well-being. Need help cleansing your body? This body wrap uses the power of algae to gently rid the body of toxins, fat, and excess liquids. Perfect for those who want to relax; yet cleanse their body at the same time or are looking for a compliment to their diet and exercise. This thorough back cleansing utilizes steam, selective scrubs or masks to exfoliate and purify. It's soothing and clarifying effects will leave you with a beautiful clear glow. Using light strokes, a sea salt scrub is massaged over the body to improve circulation providing silky smooth skin. Finished off with a moisturizing lotion to leave you glowing. This system uses positive and negative charges to stimulate the cells within the body to release built up toxins through the 4,000 pores in the feet to efficiently detoxify your body. This will increase your vitality, circulation, energy level, and sense of well-being. Our most popular massage. This massage is designed to energize the body by stimulating circulation, ease muscle tension, improve flexibility, and promote relaxation. Great for first-timers. After vigorous massage strokes to warm and relax the muscles, concentrated pressure is applied to specific areas. effectively increasing circulation and loosening knotted fibers. This is a highly effective massage. This massage is a combination of Deep Tissue and Swedish-American techniques customized for your needs. Excellent treatment for back, neck, and shoulder pain. This massage will help relieve tight, sore muscles, improve circulation, and detoxify the body. This slightly vigorous massage uses a pressure point technique to unblock the meridians, correct imbalances, and promote overall health. Leave feeling relaxed and invigorated. Smooth river stones are heated and applied to the Chakra points to restore the balance of internal energies. The warm stones are massaged over the body to provide stress reduction, tension relief, and deep relaxation. A unique system of foot massage from the same Chinese roots as acupressure. This treatment is designed to dissolve blocked energy releasing tension throughout the body and help promote balance. During an MD Peel™ treatment, the hand piece gently traces over your skin, delivering sterile micro crystals that gently exfoliate your skin. Simultaneously, a vacuum whisks away the exfoliated skin and excess crystal, leaving your face instantly smoother. The treatment takes between 20 and 30 minutes depending on the body area you want treated. The rejuvenated, smooth and softened appearance of your skin is visible from your very first treatment. Typically a series of 4 to 10 treatments, followed by a maintenance program, is required to reach and sustain the desired goal. Chemical peels are topically applied acids that aid in the restoration and rejuvenation of the skin's surface. They create a uniform and controlled shedding of several layers of the skin. Depending on the nature and depth of the peel, a significant number of layers can be exfoliated allowing new growth to be exposed, creating a fresh vibrant appearance. Chemical peels can enhance your appearance by reducing blotchy and uneven pigmentation, fine lines and wrinkles, freckling, age spots, sun-damaged skin, and acne scars in a relatively brief measure of time. 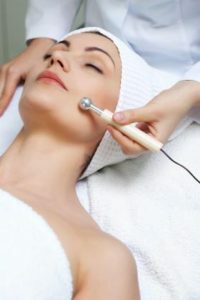 Chemical peels accelerate the production of new cells. Enjoy fresh smooth skin - immediately after your first treatment. Chemical peels have become increasingly popular because of the array of advantages and relative lack of complications. Side effects are rare and usually temporary. Some side effects include uneven pigmentation, redness, and very infrequently scarring if the skin is not cared for appropriately. Sun protection is crucial to minimize the risk of side effects. A treatment program of individually suited products and sun protection will benefit your skin's ability to maintain the results of the peel. You can decrease the likelihood of side effects by carefully following the instructions your doctor. Superficial Peel - This peel is designed to help smoothen coarse, dry skin, improve the texture of sun-damaged skin, and even skin tone. The recovery is generally rapid and usually involves some minor flaking. A series of treatments is ordinarily recommended to obtain the desired result over a period of time. Typically there is no down time and with appropriate sun protection you can resume regular activities immediately. Medium Peel - This peel contains a stronger potency of acids. Medium peels target the epidermis and upper dermis and cause the skin to slough within 5 to 7 days. Immediately after treatment the skin has a red appearance and is occasionally accompanied by swelling. Within a day the skin turns brown in color, and after 3 or 4 days the skin initiates the peeling process. Deep Peel - This peel produces the most dramatic results. It is recommended for treating wrinkles, scars, blemishes and, in some cases, precancerous skin lesions. A deep peel targets the dermis. In some cases, anesthesia is required during the procedure to reduce the warm to hot stinging sensation. After a deep peel, the skin is red and can result in some swelling and blistering. A crust may form and the skin will turn brown just prior to peeling. many layers of the skin will peel over a period of one to two weeks. An ointment may be given to keep the area moist. Temporarily, the new skin will have the color and sensation of significant sunburn, which will gradually fade to your normal skin color.